The private sector is leading a new wave of technology cooperation between the two countries, who are moving away from a buyer-seller relationship. If we analyze the history of Russian-Indian cooperation, most of the projects of the two countries in science and technology differ significantly in scale and had strong government support. Basically, these were projects in the field of defence technology, space and nuclear energy. At the same time Russia in most cases acted as the seller, and India – the consumer of technology and innovative solutions. Cooperation in the field of defence technology will no doubt continue. However, innovative projects or production involving joint research and development are growing, and they often involve private companies. This is a whole new level of cooperation. It’s not two states, but people doing business. In July, the private Russian space company Dauria Aerospace received an order for the production of two telecommunications satellites from the Indian company Aniara. The agreement on the design and production was signed at the Farnborough 2014 International Air Show. The launch is scheduled for 2018, and the total cost of the project is estimated at $210 million. Dauria Aerospace and the Elecnor Deimos international aerospace company will be partners in the implementation of the project, which will be responsible for analysis of the mission, flight, and ground control. Aniara provides operators with the opportunity to enter the Asian and Middle Eastern satellite communications and broadcasting markets. 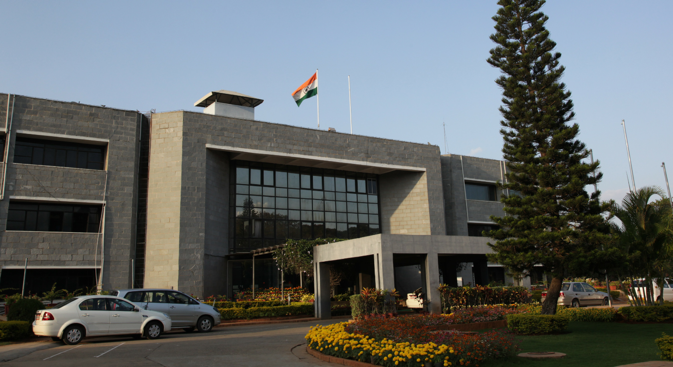 The Indian company had the opportunity to choose any high-tech vendor, but the offer from Dauria Aerospace interested them due to the low cost, small size and weight of the platform, as well as the possibility of a cluster running multiple devices with one launcher, including the Indian PSLV and GSLV The new project is important for both sides. India shows great confidence in Russian suppliers. And for the Russian side it is, in turn, another step towards a space economy. Space cooperation between Russia and India began in 1975, when a Soviet space rocket launched India's first satellite, called Aryabhatta, and in 1984 the first Indian cosmonaut Rakesh Sharma flew into space aboard the Soyuz. Deputy Prime Minister Dmitry Rogozin visited India in February, reaffirming the commitment of both countries to strengthen cooperation in the field of civil exploration. Today, Russia and India are implementing a number of joint space projects. India's achievements in space are highly appreciated by Russian specialists. Russian Academy of Cosmonautics Academician Alexander Zheleznyakov believes that by 2015 India may enter the carrier rocket market. The country already has rocket boosters to deliver cargo to geostationary orbit. The main priority in cooperation in recent years has remained in the military and technical sector. From 2010-2013, India imported military equipment from Russia worth $4 billion. Among the most significant examples of cooperation in this area are the modernization of INS Vikamaditya, as well as joint work to create a 5th generation fighter. However, in recent years, Russian-Indian cooperation gradually goes beyond the buyer-seller model. Today, private companies are beginning to appear in this market, including AFK Sistema, which established the mobile operator Sistema Shyam Teleservices in India. Also, the DST Global Fund has invested $210 million in India's largest ecommerce organisation Flipkart. Russian military engineers have created a new device to allow emergency rescue workers to detect people buried in wreckage and rubble from several metres away. The device, called Pikor, uses ultra-short pulse radio waves to detect heartbeats and moving diaphragms behind walls and layers of other building materials such as brick, concrete, wood, plaster and glass. It has already been successfully tested by the Emergency Situations Ministry, according to RIA Novosti. The instrument's inventor said it has already “attracted the attention of foreign specialists” and is now being tested by mountain rescue teams in India. The interaction between the two countries has gradually transformed into a number of joint projects, including the production and development of advanced technologies. One example of a new approach is the unique joint venture BrahMos for the production of supersonic tactical cruise missiles. We apply modern Russian technology, which Moscow no longer shares with any country in the world. The rockets are produced directly in India. Also noteworthy is a joint project for the production of navigation receivers and ground support equipment for GLONASS, a large-scale project of the Indian Space Research Organization and the Federal Space Agency. Not surprisingly, the new style of cooperation is increasingly attracting representatives from Indian businesses. From October 14-16, the Moscow Open Innovation Forum will be held, with its unique presentation of the latest developments and visionary ideas. Moreover, it is the centre of global debate on key aspects of innovation. Forum visitors include senior managers and founders of the following major Indian companies: Tata Group, Strand Life Sciences, HCL Technologies, Indian Oil Corporation, Infosys Technologies, and many others, to explore the possibilities offered by Russian technology manufacturers. Russian Prime Minister Dmitry Medvedev and many other influential people are scheduled to participate in the forum. Experts from more than 40 countries within the 17 topics will discuss the key issues of the development of modern technologies in areas such as science, education, business, space, biomedicine, health care, and other areas.